A compilation post of some Sailor Moon things that I got from Japan because I don't think I have done a post about them yet. I still love everything Sailor Moon themed because it makes me feel so nostalgic and brings me back to the time when I was a kid and how much I used to love watching the anime. Sailor Moon limited edition eyeliner pens. I got a liquid eyeliner and a pencil eyeliner in black. I love the liquid eyeliner. It doesn't smudge and is very easy to apply on the eyes. I have yet to use the pencil eyeliner. Found this face mask at a drug store in Shibuya and just had to buy it! Sailor Moon miracle romance white pencil eyeliner for your under eyes which I have done a review of in this post here. I got this awesome Sailor Venus pen from Kiddyland and they gave me a free notepad! Sailor Moon t-shirt bought from Kiddyland as well. And this was something that I have wanted to buy in Japan but couldn't find it. 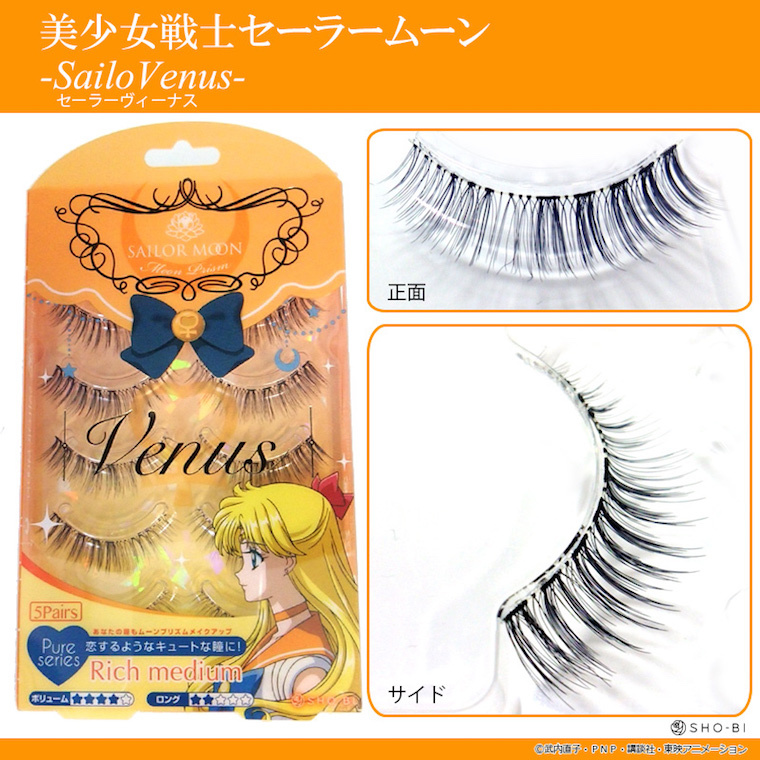 Sailor Venus eyelashes. These would be a great match for my Sailor Venus cosplay!